I have no sound, perfect picture but no sound. Have tried it through tv and surround sound and no luck. Have reset box and swapped hdmi cables still nothing. All problems on this page have been submitted and answered by users. 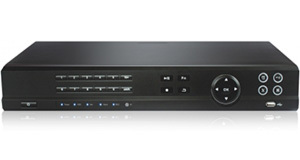 If you have a problem with the Goodmans GV101YRH50 DVB-T2 Twin Tuner PVR 500GB , please submit it below and we'll post it here. Problem: I have no sound, perfect picture but no sound. Have tried it through tv and surround sound and no luck. Have reset box and swapped hdmi cables still nothing.